Laser-etching is a very effective customization technique that also increases the overall security of the label. Laser-etching is the process of removing the metallic layer from the adhesive side of the hologram label up to the top clear film layer. This basically creates a transparent window from the top layer that allows the underlying surface to be visible through the label. Laser-etching can be used to create shapes and text. It is most often used to create serialized data such as serial numbers. Since the laser-etching is performed from the adhesive side of the label, the etching cannot be removed or tampered with once the label is applied to a surface. 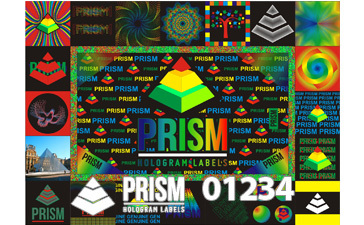 Laser-etching can also be used to print text on to generic hologram labels. This can provide clients with a semi-custom solution at a lower cost than producing full custom hologram labels.